Pre-Avengers Coulson has three substantial MCU appearances—more than anyone save Nick Fury. He is a completely different character in Iron Man, Iron Man 2, and Thor. Coulson becomes whatever the plot needs him to be. He is a plot device with no character development, background, or emotional resonance. In Iron Man, Coulson is introduced as an annoying bureaucrat who ends up helping Pepper save the day in the end. 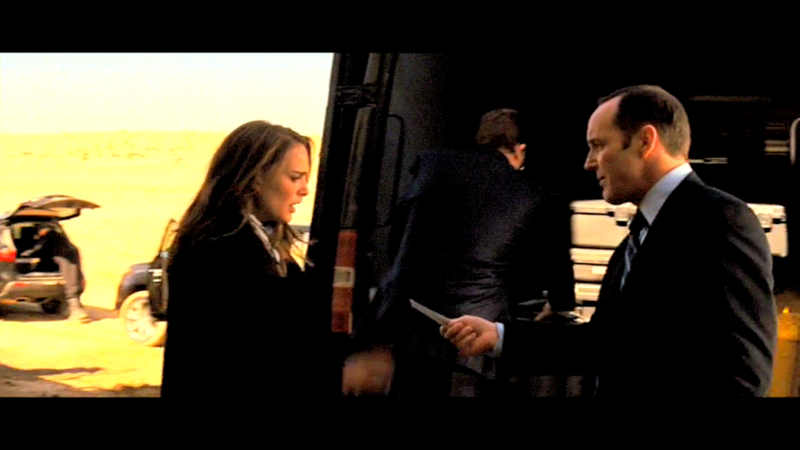 Coulson appears briefly twice before the film reveals his actual purpose in the narrative. Coulson has access to resources, Men in Black, and the authority to keep Pepper safe from Obadiah’s retribution. It’s a nifty and highly satisfying plot turn, but Coulson is an object. He is a functionary of this purpose. The same pattern repeats. I’ll address Iron Man 2 in a moment. Suffice it to say there’s no real character development for Coulson in the film besides that he watches Supernanny. The shift between Iron Man and Iron Man 2 is simply that he’s a familiar face rather than a benevolent helper. Thor turns this completely on its head, with Coulson’s bureaucracy casting him as the film’s minor villain. Again, with no character development or emotional investment beyond a bit of snark, Coulson’s sole function in the film is as a plot device providing numerous obstacles for the protagonists. From impounding Jane Foster’s equipment to antagonizing Thor, Coulson is the Earth-side villain as a compliment to Loki on Asgard. Coulson is a complete blank that each plot projects anything it needs onto. This pattern actually continues into The Avengers, but that’s Whedon working some manipulative magic. Hold that thought. 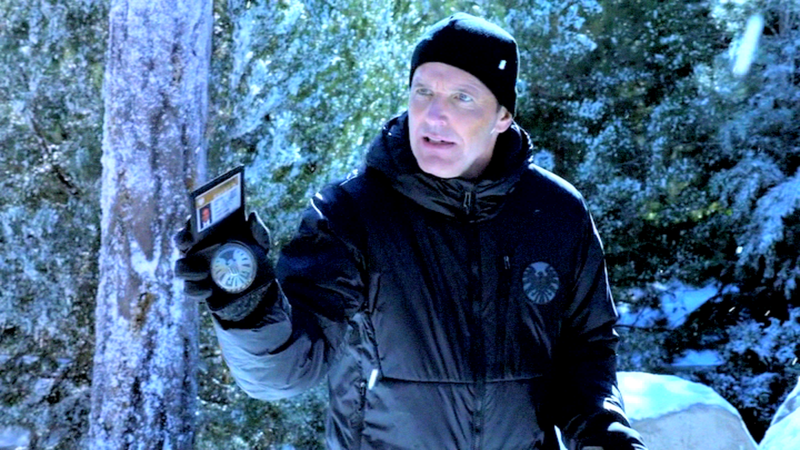 Coulson’s main function, beyond plot business, is that he is the major point of continuity throughout the first few films of the series. The only films he’s not in are The Incredible Hulk (which barely registers to my mind as in the MCU anyway) and, ironically, Captain America: The First Avenger. Clark Gregg’s face is the sinew that lends credence to the idea that all of these films create a coherent universe. His appearance in Iron Man 2 is completely superfluous except for the fact that it a.) reminds us that Coulson exists and b.) leads into Thor in the film’s tag. Arguably, all of Iron Man 2 is simply an exercise in world-building and continuity and it doesn’t have the most coherent plot to begin with. But of all Coulson’s appearances, this is the most blatant insertion. Again, there’s no character development or growth, no background given. He’s just a man in a suit who Tony likes to throw verbal jabs at. He’s a bureaucratic Zeppo—Tony Stark’s straight man. All of this appears to change in The Avengers. Coulson is reintroduced to us as a hyper-competent, extremely loyal, morally superior human being. He is in charge of major SHIELD projects, takes pains to save multiple Agents in danger, and literally assembles the Avengers. Most importantly, he has a cultish obsession with Captain America as a historical figure. All of this is Whedon’s master manipulation machine at its finest. I adore Whedon’s works but at this point I’m disillusioned with his style. So, minor sidetrack: Whedon’s well-worn narrative philosophy is to kill off a major character in an effort to emotionally devastate the audience. This tactic has become so transparent that, for me, it’s utterly useless and more of an annoyance than a trauma. Sidenote to the sidetrack: this is one of the reasons why the first season finale of Agents of SHIELD absolutely destroyed me: no one died, but all of the characters incurred serious damage to their core identities. That was much more devastating than killing someone off, and had the added bonus of providing a ton of dramatic potential for the following season. It was refreshing and avoided some seriously tired clichés! Now, back on track! In order for Coulson’s death to devastate the audience(/the Avengers), Whedon had to give Coulson an identity. Any identity. 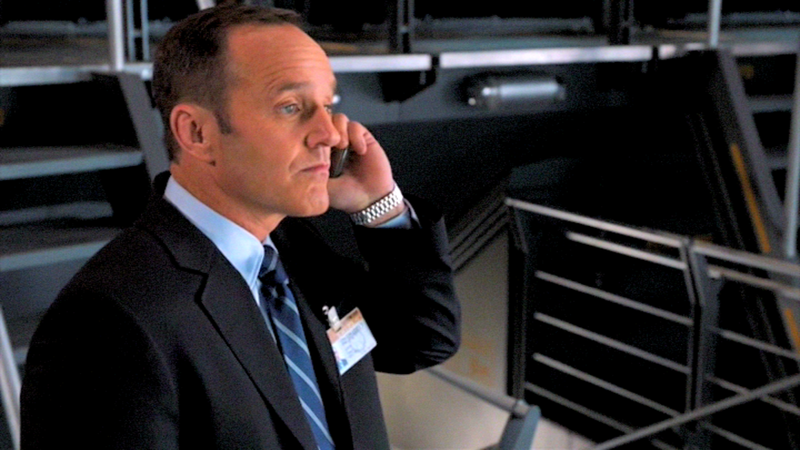 Coulson’s competence at his profession is shown in the opening sequence where he briefs Fury and then ensures everyone has evacuated the facility when the situation takes a downturn. It’s then Coulson’s job to pull Romanoff off her assignment and recruit Tony. 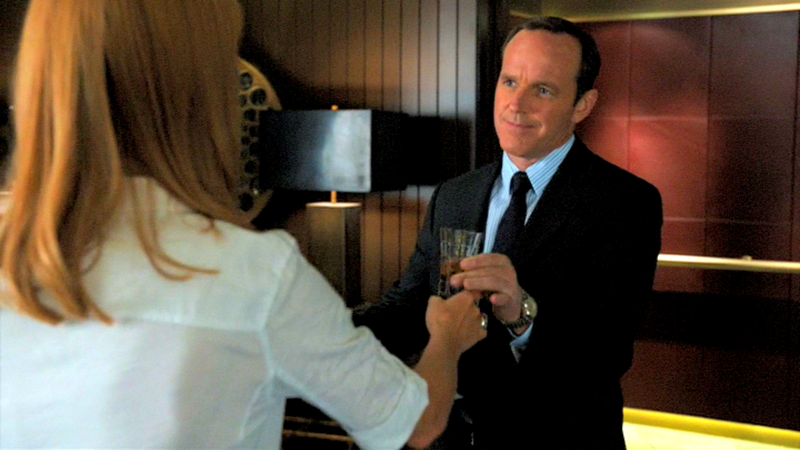 The scene in Tony’s penthouse is crucial because it allows Tony to dismiss Coulson, famously claiming that Coulson’s first name is “Agent”, while also having Pepper discuss Coulson’s girlfriend in the background. The minor details to this character building are key. Where Whedon really kicks this Coulson adulation into high gear is turning him into a full-on Captain America obsessive. This has the dual purpose of making Coulson a relatable human with some kind of passion (i.e. it makes him adorable), and turning him into the audience surrogate in the film. His fanboy crush is both painfully familiar to the fannish types watching the movie and a (rare) respectful representation of fandom. Killing the audience surrogate as a motivational sacrifice plays like the Avengers only save the world because they care about us. Their existence is contingent on respecting (and thus returning) our love. It’s the ultimate in fan wish fulfillment fantasies. Touché Whedon. Nothing makes fanboy/fangirl hearts pitter-patter like one of their own. An entire sub-genre of Avengers fanart focuses on Coulson’s fanboying of Captain America (januarius-gates, eastwesttreaty, azirae). Not bad for a blank slate, eh? 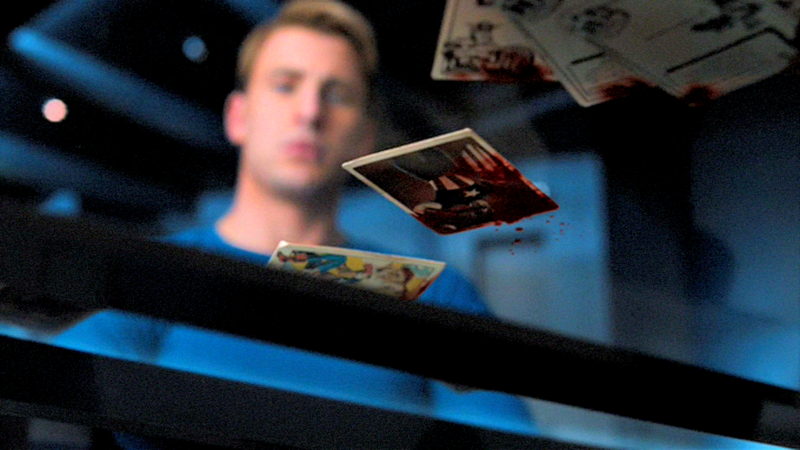 In true Whedon fashion, all of this character work points to Coulson’s imminent death from the start. That’s like a giant Whedon red flag. (Similarly, Avengers: Age of Ultron (very poorly) builds up Hawkeye so that Whedon can have a gotcha-moment when he kills Quicksilver in Hawkeye’s place. Unlike in Ultron, Coulson’s death actually works both because the character development was better and because it has narrative utility.) Again, Whedon deaths are primarily efforts to emotionally harm the audience, but in this case Coulson’s death ascended him to the status of fandom god. He was suddenly so endearing that his death stole him from his fanbase before there was even a chance to really know him. But perhaps the most surprising thing about the fandom outcry surrounding his death is that the powers-that-be took pains to reverse it. The extreme cultish devotion to the character throughout the Marvel fanbase lead directly to the creation of Agents of SHIELD with a resurrected Coulson as the lead. While it’s a fabulous concrete example of fandom power, the series’ start is also testament to how seriously wrong things can go when you’re primarily trying to pander to a fanbase. Now, the early episodes of Agents of SHIELD are a trainwreck all on their own, but that disjointed, forced quality is helped along by Coulson’s non-character status. Before Agents of SHIELD Coulson fulfilled whatever function needed of him by the plots of his film appearances. His very character is incoherent. He is a straight-man bureaucrat, a low-grade villain, and a martyred hero by turns. But in none of his appearances do we know him. 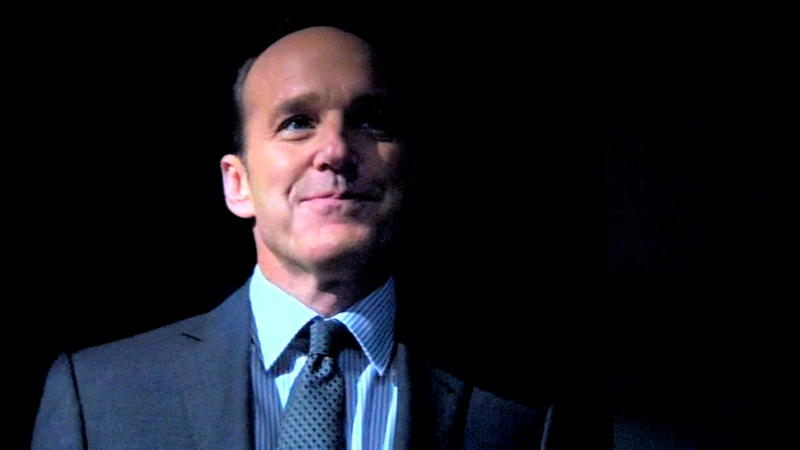 Coulson is simply a familiar face that the audience formed an attachment to precisely because he was familiar. Character details, personality, background—there is legitimately nothing to him. You can’t actually build a quality narrative on a single hashtag. Though they sure tried. Agents of SHIELD is a mess partially because it centers around Coulson and Coulson is a void. The first fifteen episodes take pains to emphasize how cool he is. He collects gadgets. He swoops in out of shadows in off-key dramatic entrances. He makes “hard calls” which are, in fact, already foregone conclusions and hence not that difficult. The show also repeatedly claims that “Coulson is different,” which presumably must be reiterated because we never knew him before. As the central figure in Agents of SHIELD, Coulson very quickly became the Marvel Cinematic Universe character with the most screentime, and yet this didn’t afford the audience any greater intimacy with him. Coulson himself already had a cult following, but rather than craft a persona to live up to that following, Agents of SHIELD simply presented Coulson in the blank slate state in which he had existed previously. Telling me that Coulson is cool, telling me that he’s making difficult moral choices, telling me that he’s different does nothing but frustrate me. Emotionally, it feels like reaching out to shake a character’s hand and getting slapped with a ruler every time you get close. In the beginning of the series, Coulson is the hollow center that Agents of SHIELD is incapable of latching on to. He should hold the disparate pieces together and allow them to grow enough that they stand on their own. Instead everything keeps flying apart and the narrative doesn’t gel until it gets outside help. So much about Agents of SHIELD was done poorly, but one of the most glaring defects is the hacky teasing about Coulson’s death and resurrection. They could have drawn out that mystery without simultaneously dismissing it and hammering on it as hard as possible. It could have more naturally caused all the characters pain and discomfort. The problem? Coulson still wasn’t a character. His defining character trait was still simply that he was a fan of Captain America with the new “I died fighting with the Avengers” angle. Even revealing that he was resurrected with some kind of alien blood did nothing to alleviate this awkward tension. Smarm does not become you. In fact, it’s not until SHIELD falls to Hydra and Coulson blindly leads his entire team into the wilderness loyally seeking Fury that he truly starts to develop character. It’s no coincidence that all of the other characters start to come into their own around the same time. Before then there was no conflict in the entire series. There was nothing to test them and no opportunity for them to shine. Coulson’s Cap-modelled principles are revealed in his devotion to Fury, to his SHIELD oath, and to protecting innocent people from harm. It’s only really the last five episodes of the season where Coulson grows into anything besides a man-shaped vessel who prettily reads lines. 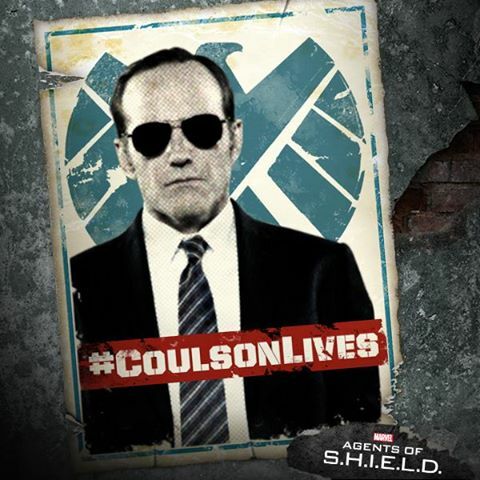 Coulson’s promotion to Director of SHIELD is when Coulson grows into the role he’s given. Fury’s assessment that “guys like [Coulson] were the heart” of SHIELD is completely believable by the time he says it, though not before. 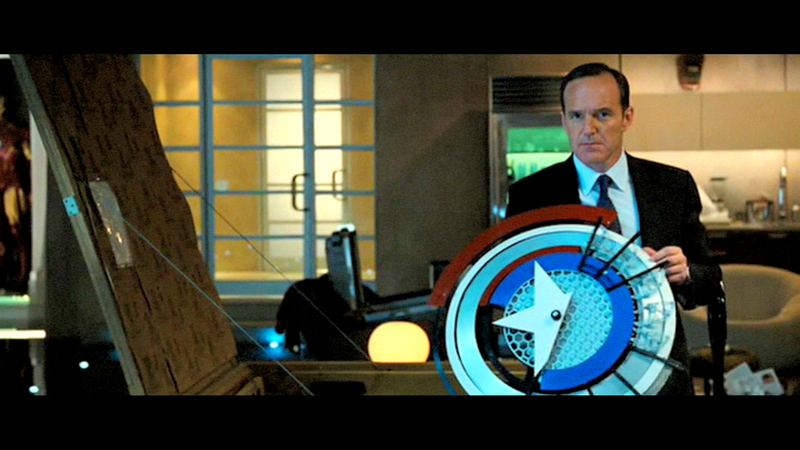 Coulson’s more compassionate shadow version of SHIELD becomes an institutional extension of Coulson himself. His principles are represented in everything that SHIELD does in the second season of the series because he has a hand in every decision that forms this new SHIELD. In this case, the world-building and character-building are synonymous and coalesce in the creation of the show itself. I tend to talk-up Agents of SHIELD‘s second season as a perfect season of television so it’s no wonder that, by now, I adore Coulson with my whole heart. It’s not until he’s in charge—first of his ragtag band, and then of SHIELD itself—that we get to see if all those fanon Cap-inspired principles are really canon. They are. And Cap is my favorite Avenger. You see where this is going. Additionally, rather than just being a Captain America clone, Coulson also makes questionable decisions, is easily led by his emotions, and only begrudgingly makes compromises. He’s not a perfect paragon of righteous justice anymore. That’s why he’s so great. There was a lot of kvetching about the original Agents of SHIELD Agents being completely new characters when there are plenty of SHIELD agents in the comic continuity to draw from. The five newbies were underdeveloped and their relationship/team building is rushed to say the least. A legitimate criticism of the early series is that it needed some serious character work on the five unknowns. I’d extend that to include Coulson. By episode six, some of the new characters are more fully-baked than even Coulson himself and he’s the central figure in this exercise. Agents of SHIELD was the perfect opportunity to craft whatever the creators wanted. It was, practically, a completely blank canvas. Instead they presumed Coulson’s popularity was a rock-steady base on which to build and only bothered with character growth of any kind near the end of the first season. If my subjective(/volatile) judge of quality isn’t enough, the massive drop in ratings is concrete proof that this was the wrong way to go. Frankly, it’s a minor miracle that the series got renewed for a second season. But Coulson past that point is the fully-realized, incredibly lovable character that he always should have been. It just took them forever to actually do that work.